Image: Frances F. Denny, “The Shape of My Heart,” Los Angeles (Street View). “I want to stop traffic with art,” says artist Mona Kuhn, who curated this edition of The Billboard Creative. 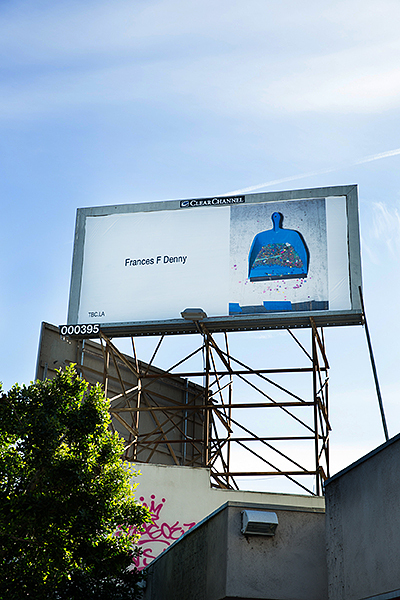 The Billboard Creative (TBC) will launch its second public art show on December 1 on 33 billboards throughout the streets of Los Angeles. This second effort by the non-profit TBC will feature an outstanding number of emerging and established artists including Ed Ruscha, Jack Pierson, Andrew Bush, Shane Guffogg, Kim McCarty, Panos Tsagaris, among others, and double the size of its inaugural outing.